This post came about after something interesting from RESET’s editor Kevin Tilley was sent through. 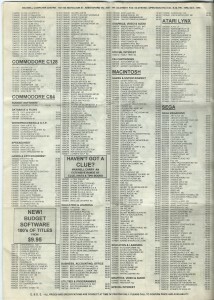 Club Max Software club was an Australian ran software club that was fairly popular. They had a store which Kevin used to visit. Shortly after, contributor Cal got in touch with more adverts depicting games which were advertised in catalogues, but never sold. 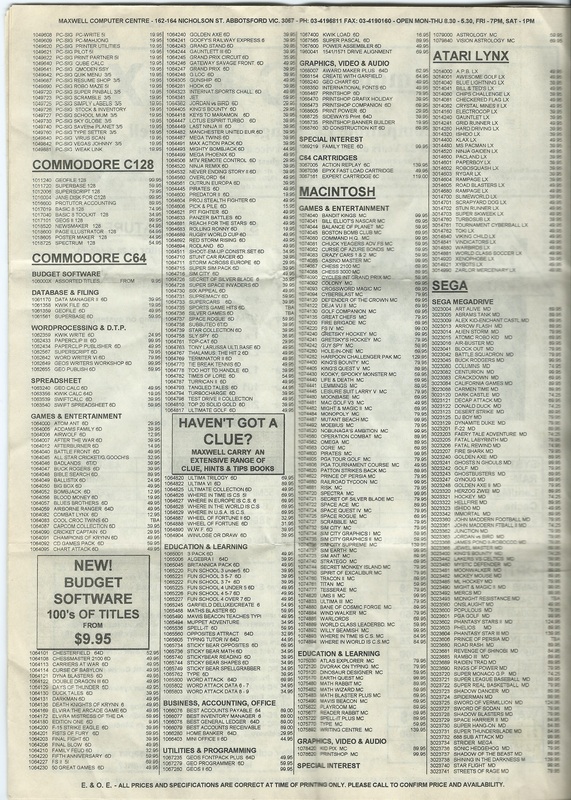 7 pages are from a computer shop in the early 90’s in Perth, Western Australia called Amitar. It’s likely most of the games were never actually in stock! I recall a catalogue advertising CPC versions of Mega Twins, Street Fighter 2 and Dalek Attack, all of which never appeared..
We had a similar case in Finland where at least one specific mail order company constantly listed stuff like Dynablaster, R-Type 2 and Z-Out in their ads: What they probably did was snagging those titles from various reports about upcoming games, as there was lots of talk about them taking pre-orders and never delivering which eventually caused quite a stir among gamers. I can provide sample scans if needed. Thanks Romppainen, that would be great. Basically I think it will be interesting to put up a couple of ads to demonstrate how some companies advertised titles that weren’t even finished. I’d pray it was the former and somehow, they were sat on copies of the games advertised, but sadly my common sense is warning me, it’s sadly more likely they had titles listed to ‘gauge’ interest for pre-orders.